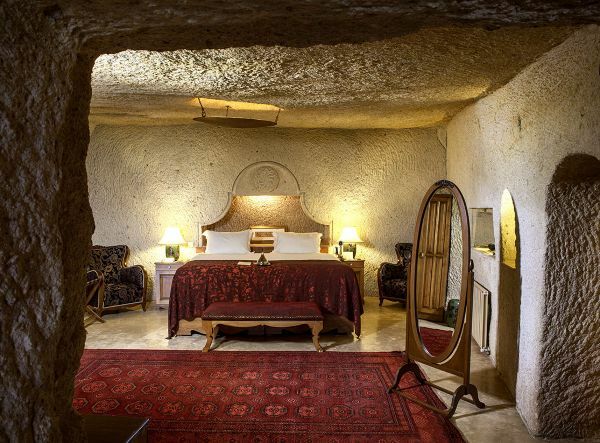 One of the royal suites at Museum Hotel, Şelale Cave Suite was one of the last to be renovated. Are you ready to experience a stay in a suite that sits on the slope of a hill, has its own private garden, and, of course, a fabulous view of Cappadocia? The rock-hewn tunnel to the entrance gives you a clue as to the kind of dream you’re entering... 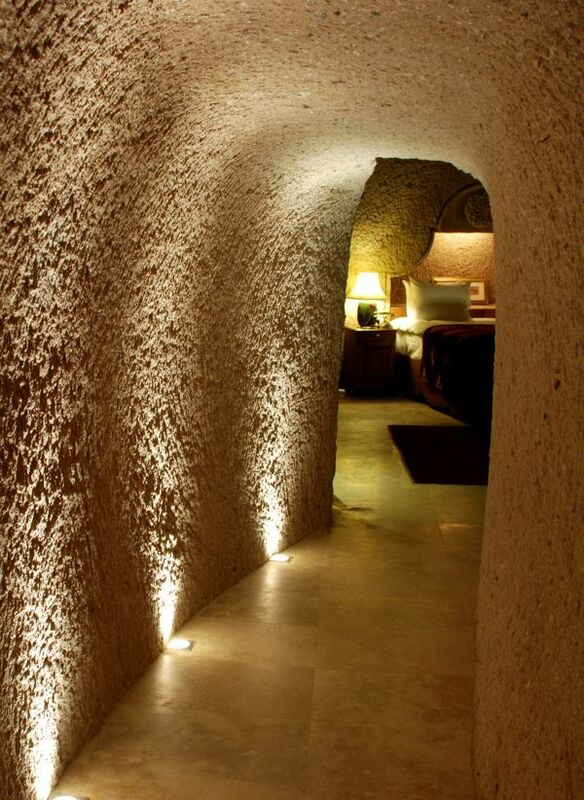 The tunnel opens into the bedroom, decorated with traditional Turkish fabrics and antiquities. The living room features wooden handiwork, a fireplace, and an amazing view of the Cappadocia landscape. The washbasin and shower area is a design wonder. 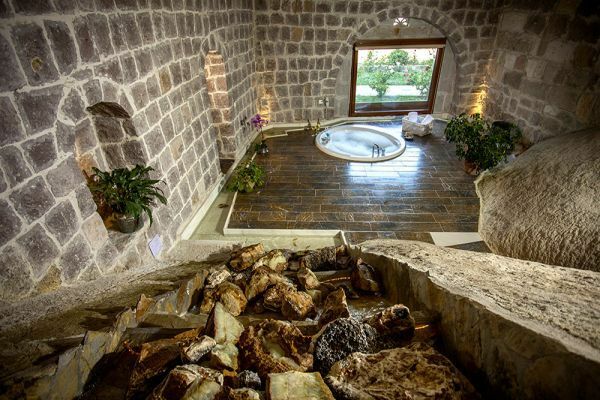 Another tunnel takes you to the Jacuzzi, featuring a most beautiful view of Cappadocia. Enjoy the pleasure of spending time in your Jacuzzi while gazing at Mt. Erciyes, the Red Valley, and Göreme. The marble fish pool wrapping the Jacuzzi features a small water cascade, şelale, supplying water to the pool and giving its name to the suite, and has been designed to give you peace. 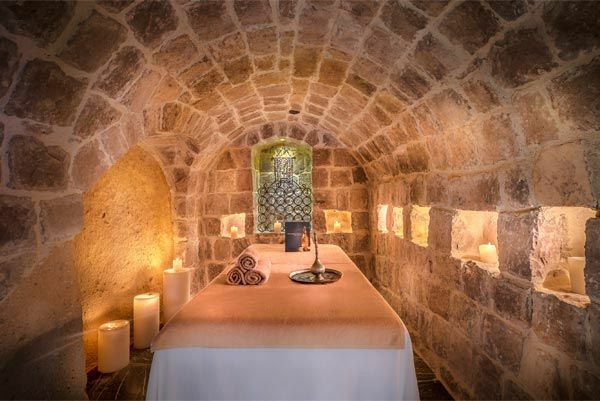 The massage room attached to this area is also designed for your pleasure. A real luxury Cappadocia experience, an unforgettable memory—especially for honeymoon couples.